With consistent focus on quality, our company is engaged in offering a vast collection of Laparoscopic LED Light Source. Our offered product is designed using high quality material cutting edge technology keeping in mind the set norms of industry. Along with that, the entire range of product is tested by a team of quality experts on diverse parameters to deliver flawless range to the clientele. Customers can avail this product from us at nominal rates in a given time frame. Long life, it could last 60000 hours max, 120times of xenon, so you do not need to replace the bulb for years. As an eminent manufacturer, exporter and supplier, we are offering a wide gamut of LED Light Source. The offered products are high on demand for its easy usage & superior quality. These products are obtainable in different specifications to meet variegated requirements of our clientele. Offered products are inspected on several predefined quality parameters for ensuring their flawlessness. •100% more Luminance compare to other conventional Led Light Source in the market. 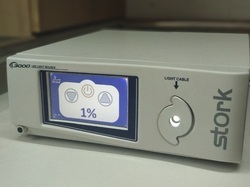 •We are the only known SSL-product delivering the same brightness at the distal end of an endoscope as typically used conventional 300 Watt-Xenon lamps. •More than double as much light at the distal end of an endoscope compare to other conventional Led Light Source. •Our Led technology that comes from the research and now is presented to the public for the first time. With 300 W launches, the technology is implemented. Specifically for medical & technical endoscopy, solutions are preferred, because they outperform conventional discharge and LED technologies. Our product is one of first products utilizing this technology. Our product is a 3-Chip LED-based high brightness module for fibre optic applications. 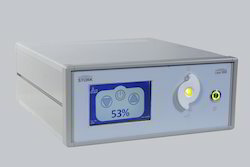 This module is optimized for the integration into medical and industrial light sources using light fibers with 4.8 millimetres in diameters and providing a system acceptance angle of about 22 ° half angle. 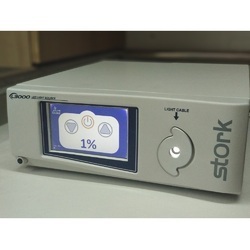 - This matches the standard requirements for rigid endoscopy. The nominal luminous flux within this tight angle limitation is 2,000 Lumen (+/-100 Lumen) and therefore matches the typical light output of a 300 Watt-Xenon lamp (at nominal power of 300 Watt) under the same etandue limitations. 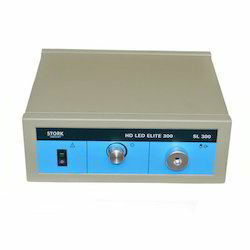 Our organization is delicately engaged in offering an excellent quality LED Light Source. The given product is provided in number of customized options to choose from. This product is developed using high quality material & leading techniques in accordance with industry standard. In addition, the product offered by us is passed through a series of practical tests so as to supply a defect free range. Looking for LED Light Source ?